Kentucky Financial Services Insurance. If you are in the financial advice business, then there are risks you face every day in the operation of your business. When you are in the business of financial services you help customers with managing their risk, building their wealth and reaching their financial goals. With so many outcomes out of your control, you must protect your business. Having the right insurance is a good way for you to protect your financial business. 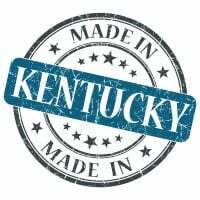 Getting the right Kentucky financial services insurance is a matter of knowing the risks you face and what you need to protect. Speaking with an experienced insurance agent is the way for you to get the best coverage. Kentucky financial services insurance protects your shop from lawsuits with rates as low as $47/mo. Get a fast quote and your certificate of insurance now. Professional Liability Insurance - Another name for this insurance is errors and omissions coverage. This insurance provides you with protection from a lawsuit against your business as a result of negligence. This Kentucky financial services insurance helps with legal fees that come as a consequence of the trial. You must note that this insurance doesn't protect you if you are involved in criminal activity. Protecting your business is important. Without the proper Kentucky financial services insurance protection in place, you could lose everything in your business. When running your financial services business, you must always be prepared. Many things can go wrong in your finance and insurance business, and this is the reason you must have the best insurance when it does. Being sued is one of the worst things that can happen to your business but when you are insured you minimize loss. Request a free Kentucky Financial Services insurance quote in Alexandria, Ashland, Barbourville, Bardstown, Beaver Dam, Bellevue, Benton, Berea, Bowling Green, Brandenburg, Cadiz, Calvert, Campbellsville, Carrollton, Central, Cold Spring, Columbia, Corbin, Covington, Crescent Springs, Crestview Hills, Crestwood, Crittenden, Cynthiana, Danville, Dawson Springs, Dayton, Douglass Hills, Eddyville, Edgewood, Elizabethtown, Elsmere, Eminence, Erlanger, Flatwoods, Flemingsburg, Florence, Fort Mitchell, Fort Thomas, Fort Wright, Frankfort, Franklin, Georgetown, Glasgow, Graymoor-Devondale, Grayson, Greenville, Harrodsburg, Hartford, Hazard, Henderson, Highland Heights, Hillview, Hodgenville, Hopkinsville, Hurstbourne, Independence, Indian Hills, Irvine, Jeffersontown, La Grange, Lakeside Park, Lancaster, Lawrenceburg, Lebanon, Leitchfield, Lexington-Fayette, London, Louisville, Ludlow, Lyndon, Madisonville, Marion, Mayfield, Maysville, Middlesborough, Middletown, Monticello, Morehead, Morganfield, Mount Sterling, Mount Washington, Murray, Newport, Nicholasville, Oak Grove, Owensboro, Paducah, Paintsville, Paris, Park Hills, Pikeville, Prestonsburg, Princeton, Prospect, Providence, Radcliff, Richmond, Russell, Russellville, Scottsville, Shelbyville, Shepherdsville, Shively, Simpsonville, Somerset, Southgate, Springfield, St. Matthews, Stanford, Stanton, Taylor Mill, Union, Versailles, Villa Hills, Vine Grove, Walton, West Liberty, Wilder, Williamsburg, Williamstown, Wilmore, Winchester and all other cities in KY - The Bluegrass State.